The first Super Bowl 50 movie trailer broke cover. Universal Studio is premiering the first trailer for the new Bourne 5 movie starring Matt Damon. The new Jason Bourne movie does not even have a title yet. The news about the Bourne 5 Super Bowl 50 trailer broke via a Facebook post of Eric Van Lustbader, the author of the Jason Bourne series. The post has since been deleted. I guess Lustbader did not know that Universal wanted to keep it a secret. On the other hand, now Universal got the attention that fans will look for the trailer during the Big Game. 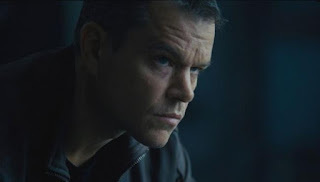 The Facebook post said according to ScreenCrush: "The first trailer for the new Bourne film will be shown during this year’s Superbowl telecast. At that time I believe you’ll find out the title of the film. (I know it, but I’m sworn to secrecy). So tune in on February 7th to check out all the excitement. I, for one, can’t wait!!!" The new Bourne 5 movie takes place 12 years after the end of The Bourne Ultimatum and we will see a Bourne in a darker place. That is basically all that is known about the story. Find out which other movies could get a Super Bowl 50 trailer. The new Bourne movie will be a summer blockbuster with a July 29 release date. The Super Bowl 50 just got a lot more exciting.